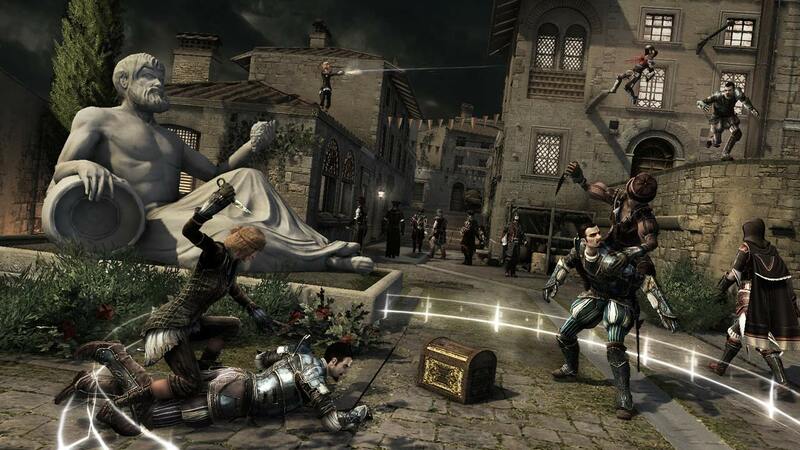 Ubisoft has announced that its free DLC for Assassin’s Creed: Brotherhood, Animus Project Update 2.0, is now available. 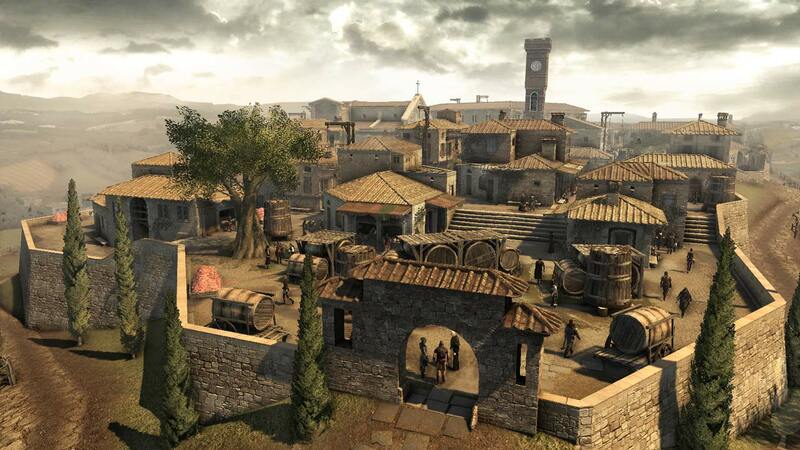 You can get the free update through both PSN and XBL, and it includes a brand-new game mode and a brand new map, the Pienza Map. 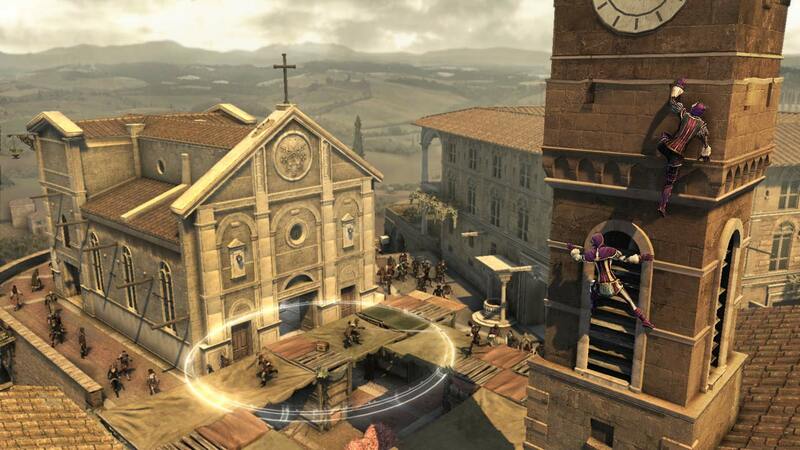 The map provides a “free-running playground where predators and targets can blend and disappear”, as well as the new Chest Capture Multiplayer Mode. 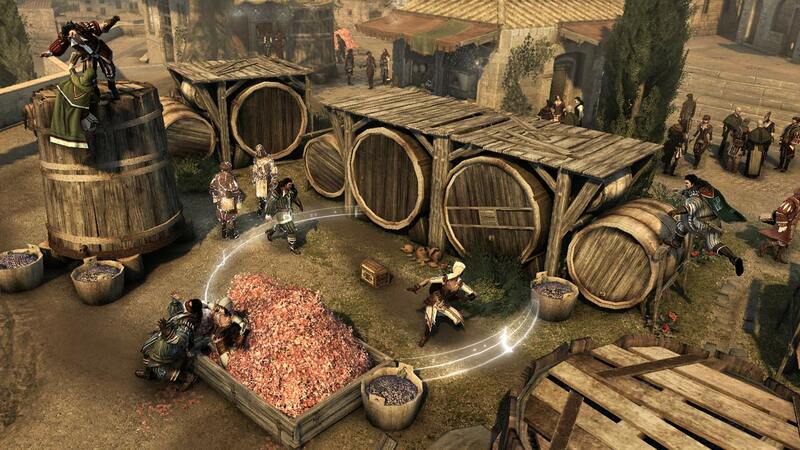 In it, two teams, comprised of three players each, partner with fellow Templars to either defend or capture Chests. 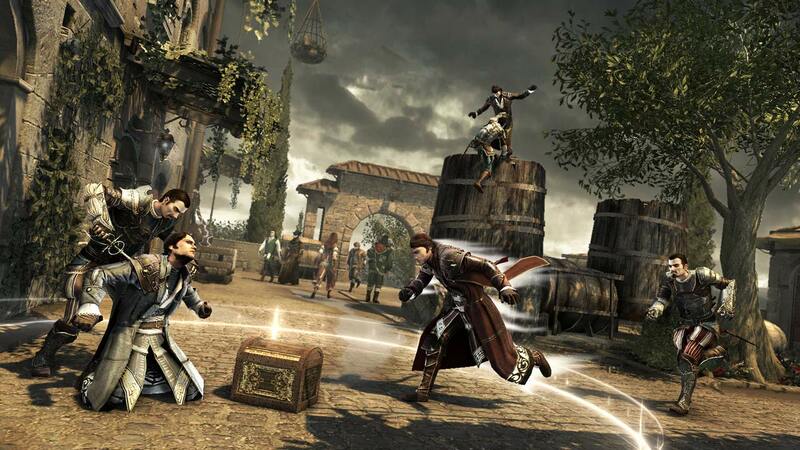 The “Capturers” must use their HUDs to locate and capture the chests, while “Defenders” must use their skills and quick reflexes to track down their foes and protect the chests. Also included is the new “Templar Score” feature. To “achieve order and maintain competition, Abstergo created the Templar Grade” which is updated weekly and based on the users scores of the previous four weeks. The Templar Grade splits recruits in 10 specific slices – each representing part of the hierarchy of the community. The goal is to reward “diligent work by Abstergo recruits”. Previous DLC for Brotherhood, Animus Project Update 1.0, was released back in December.